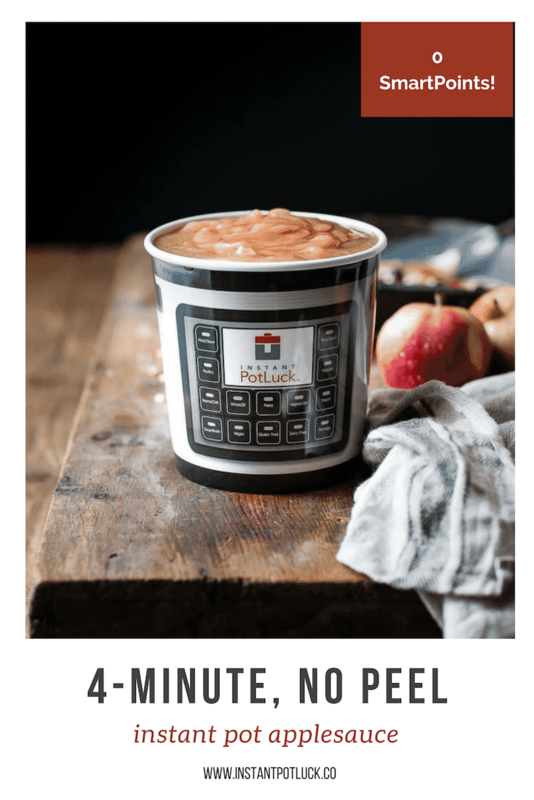 You are here: Home / Blowing Off Steam / 4-Minute Instant Pot Applesauce: NO Peeling! 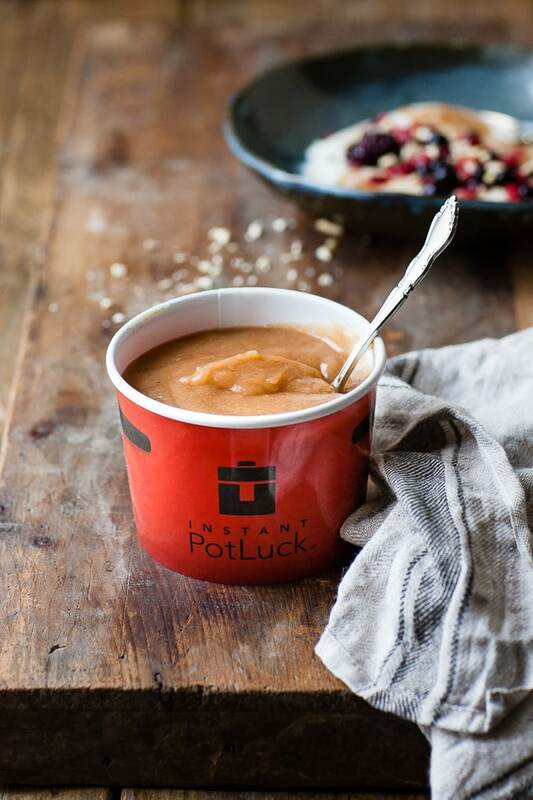 4-Minute Instant Pot Applesauce: NO Peeling! I’ve loved applesauce ever since I was a kid. And I’m embarrassed to say, I never made it before. 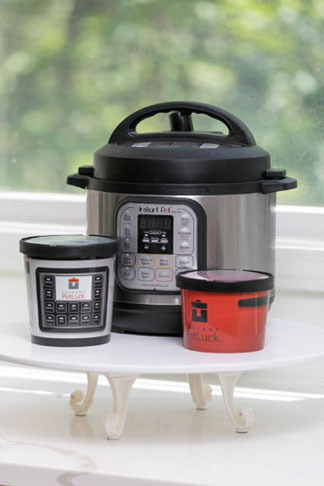 That was until I found the Instant Pot. And like everything else I make in the IP — it’s a game-changer. 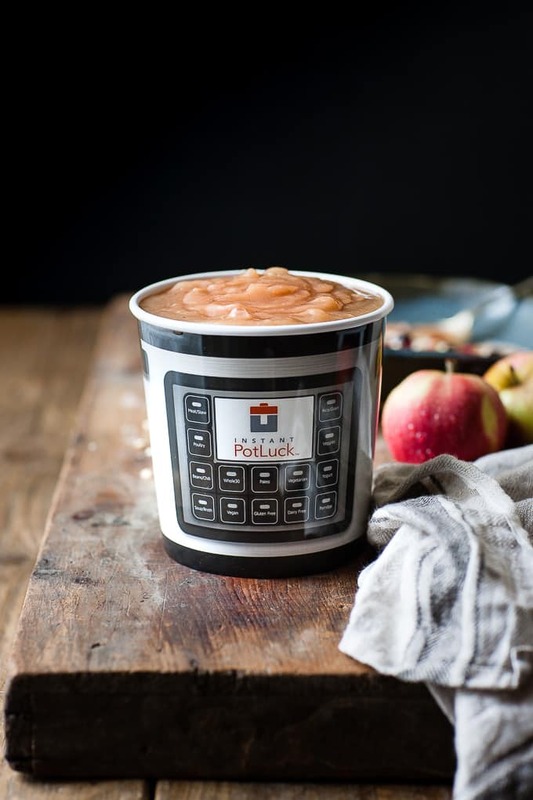 Here is a recipe for Instant Pot applesauce that you don’t have to peel ANY of the apples, and it’s ready in less than 5 minutes. And for those counting points? It’s ZERO WW Smart Points. The skin of an apple is the best part. According to just about everything I’ve read, the peel from a medium apple contains 4.4 grams of total fiber. An unpeeled apple has nearly double the fiber, 25 percent more potassium, and 40 more vitamin A. (There’s a lot more, but I am not doing “The History of Apples” or a paper on nutrition… at least not yet!) 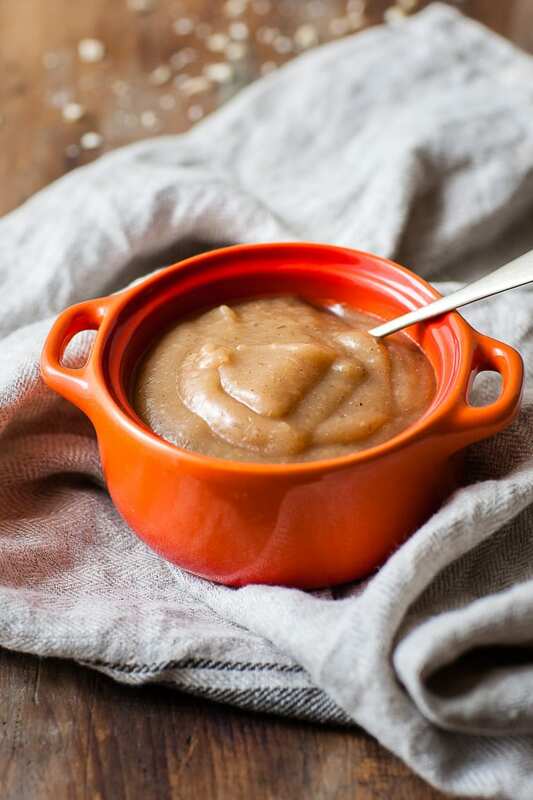 Suffice it to say: applesauce with the peel is as velvety and as smooth as you can imagine. And honestly, there’s nothing like the smell of fresh apples and cinnamon — it makes the whole house smell like a holiday, so why wait? If you’re concerned about pesticides, buy organic apples… and buy all different kinds. Run down the aisle and grab your favorites or pick some you’ve never tried. 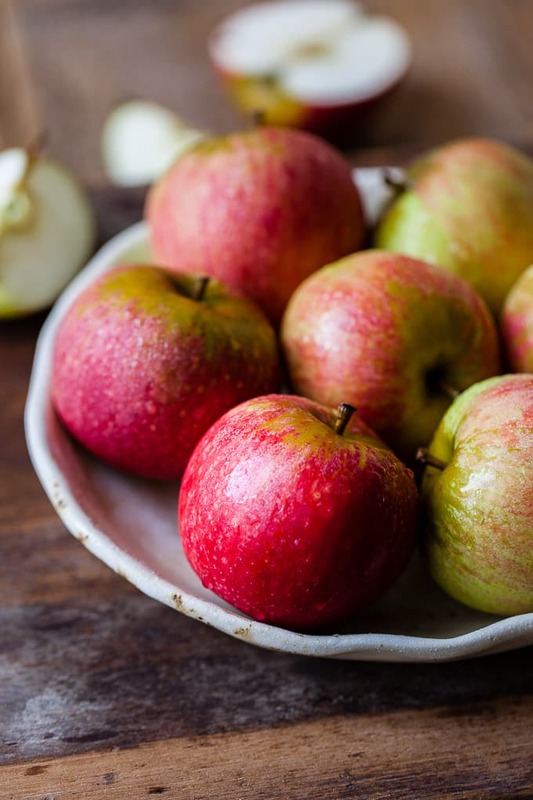 From the gorgeous selection and amazing variety, toss in one or two of each: Gala, Honey Crisp, Jazz, Fuji, Granny Smith… from sweet to tart and everything in between. Why? 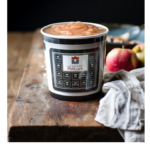 Because when you mix and match the apples, the color and flavor of your sauce are incredible. No two batches are ever the same. I wouldn’t eat store-bought sauce again if you paid me. 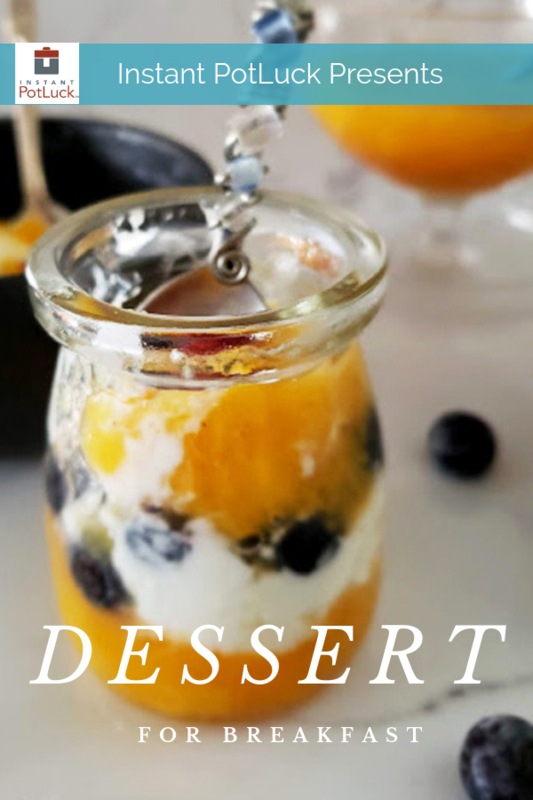 What I love the most about this recipe is the simplicity. 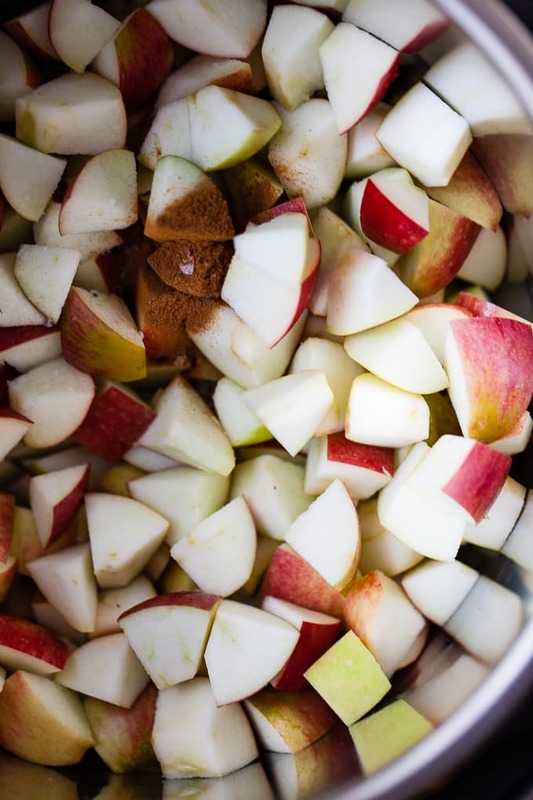 You just chop up the apples — any way you want, add cinnamon, and a cup of water and that’s it. 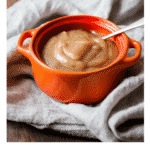 And in 4-MINUTES, you have perfect, smooth, velvety applesauce that kids and adults love. I serve it as a side dish with my smothered pork chops and crispy bacon, or ribs or BBQ chicken… but it goes well with just about everything. I also serve it warm and cold and both are delicious. I serve them in these adorbable mini-Dutch ovens. (They have really cute lids, too.) 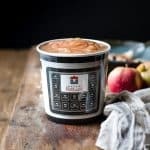 These are restaurant-grade porcelain, oven safe to 500 degrees, and great for serving mac an cheese, individual French onion soups, and of course applesauce. 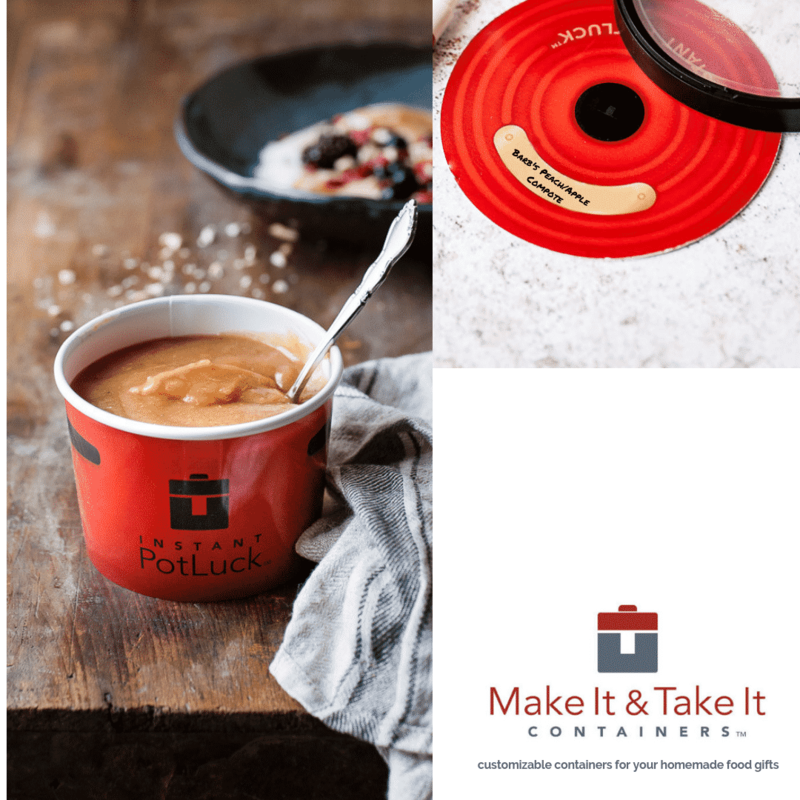 Mini Dutch Ovens – available in 7 oz and 16 oz sizes. Oven safe to 500 degrees. 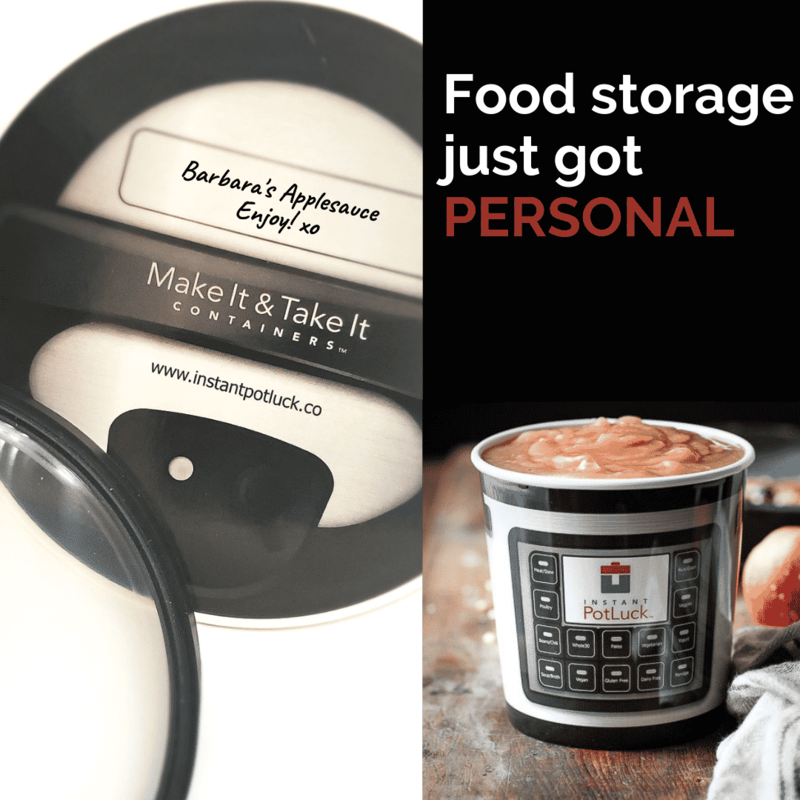 If you want to purchase the containers or any of our products, use the PROMO CODE: ApplesauceYUM! for 15% off your entire order. Here’s how to make it: No peeling, No kidding. 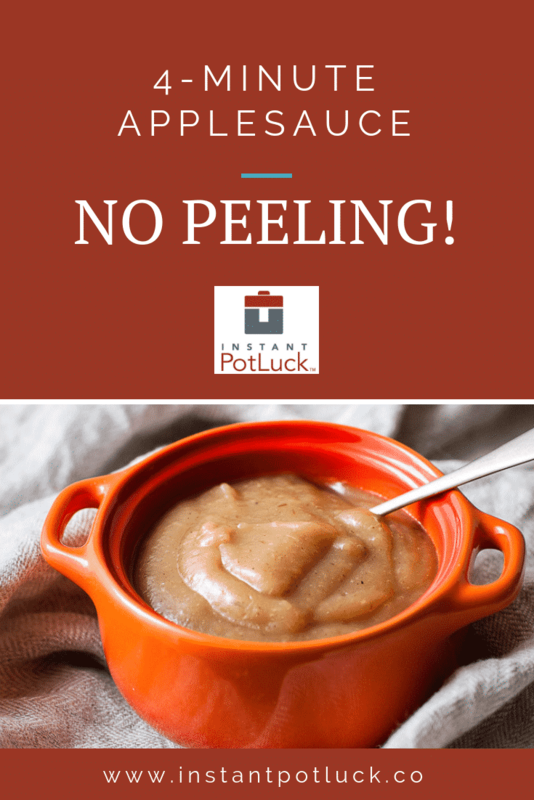 Instant Pot 4-minute applesauce: NO peeling! Pressure Cook or Manual for 4 minutes. 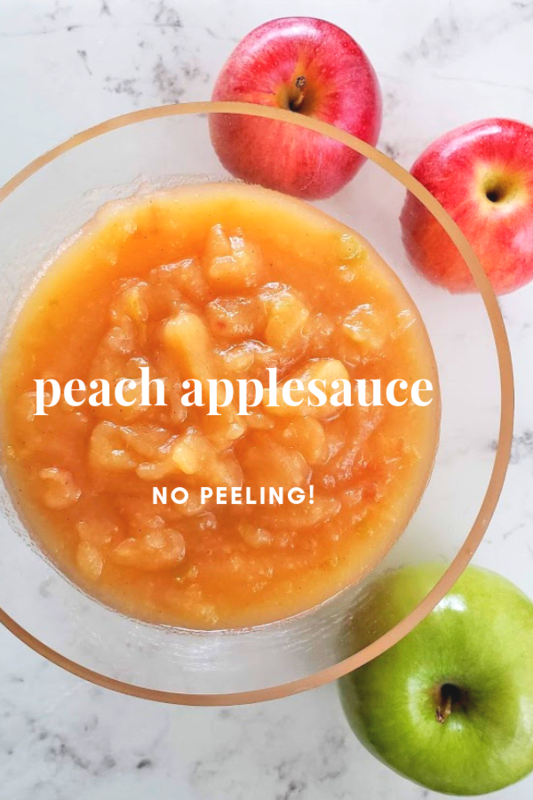 Transfer the apples to a food processor, blender, or use an emulsion blender and blend until it’s the texture you like. And here’s a recipe for another version of applesauce — with peaches: Peach Applesauce and Peach Compote. Ready in 1 minute. NO peeling… and simply delicious. 4 oz mini jars with lids. Perfect for individual portions. 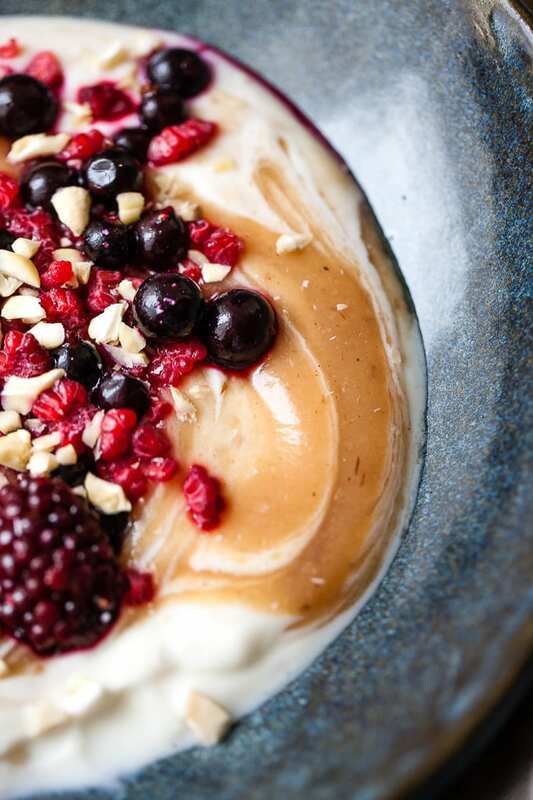 Join our Facebook group to discuss and share your favorite recipes. 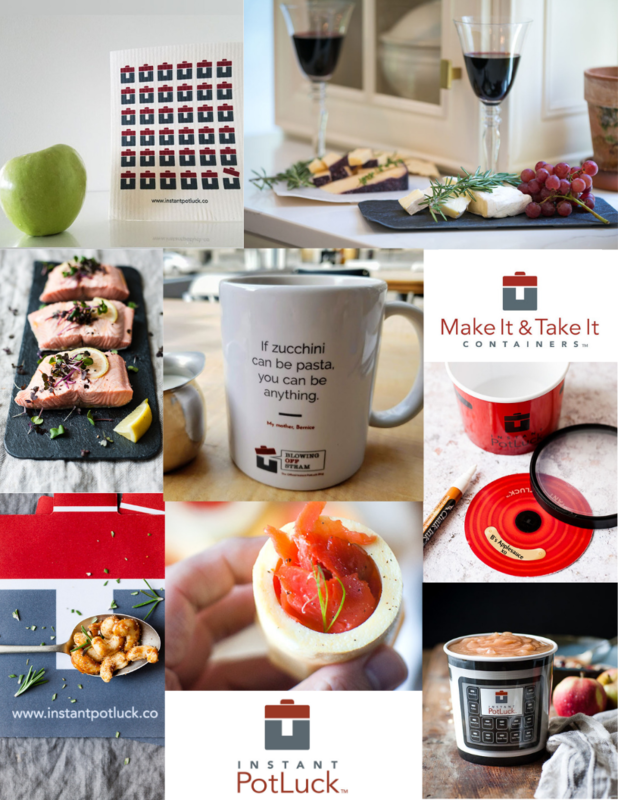 And I’m here on PINTEREST… the place where I go to look for a recipe and end up considering which Tiny House to buy. I have already made applesauce.with cinnamon or without.if u like sweet appleauce add half cup sugar.white sugar.stir.When done.use your blender or processor to blend it.